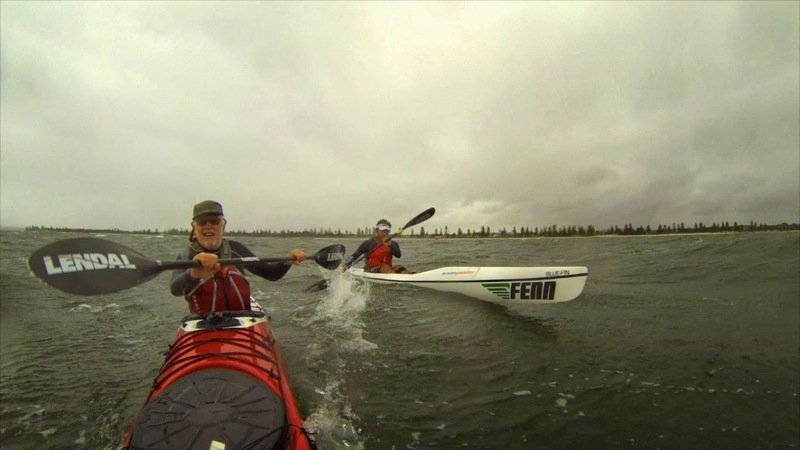 Updates on our paddling adventures, products & reviews, as they happen. The whole landscape of surf ski paddling has changed over the past 4 years, traceable pretty much to the day the Epic V8 was released. Suddenly you didn't need a background in surf life saving or competitive K paddling as a pre-requisite for being able to even stay upright on an ocean ski, the double whammy of uber stability and genuine ski performance combined in a mass-produced, mass marketed craft now there for all to enjoy. Over the preceding years there have been a few excellent additions to the genre, with Think bringing out the Eze for smaller framed paddlers and more recently the Big Eze, but the one that has gone a little under the radar is the Fenn Bluefin. Longer than the other entry level skis at 5.8m, and with a sleeker look, it's slightly over the established spec for the genre, and we've been curious about whether this translates to a more advanced performance. Yesterday on the bay provided a very good opportunity to test the boat in some blustery conditions, with a boomer of southerly producing squally winds ranging for 25-36 knots. While this produces an extreme sea state, on Botany Bay it kicks up boat-length waves running at about 13-15kmh, steep enough to push you all the way from one side to the other in half an hour. The strong wind warning issued by the BOM meant our regular Dolls Point Paddle was cancelled, so Rob & I took the chance to go for a one way, downwind paddle, me in the Bluey & Rob in the Pace 17. We busted out into the headwind towards Towra Point to give ourselves a bit more downwind time, then turned and scooted all the way to the airport. The little waves lined up perfectly, and we both enjoyed run after run, easing the boats along the bumps. The first thing that strikes you about the Bluefin is the way it surfs. Like its older sibling the Swordfish it is built for catching runners. A couple of short strokes, a lean forward, and you're inevitably whistling along on the sweet spot of the wave. Being used to my ultra V10, I eased a couple of times when another stroke might have got me a longer run, but that's to be expected when you're in a ski so damn stable you could text & drive for fun. It's also nimble enough to carve around by eye - look left, go left - with a delightful loose tracking stern that slides when you want it to without broaching. Pity was the ride was only 20 minutes, as we neared the airport I was really staring to get the hang of it. I think it's important to test a design like the Bluefin in these sorts of seas, it's the kind of stuff an ambitious beginner should be aiming to get into and master, and an entry-level ski shouldn't punish you for mistakes like the more advanced designs can. Experience has shown me that mastery of an elite ski on flat water, even to the extent of being very fast, rarely translates to proficiency in moving water on that same advanced craft. Something like a Bluefin as your second ski for the bounce, or obviously as your first ski if you really want to find out what all the fuss about downwind paddling is all about, makes a lot of sense. The ski is longer and does feel fast with regards to the way it runs longer than you expect it to, and it surfs like a dream, super predictable and balanced. It's a welcome evolution of the species of entry level boats. If you'd like to test out the Bluey, even have a shot at some of the cool Bay conditions in the video, give either Rob or I a shout. 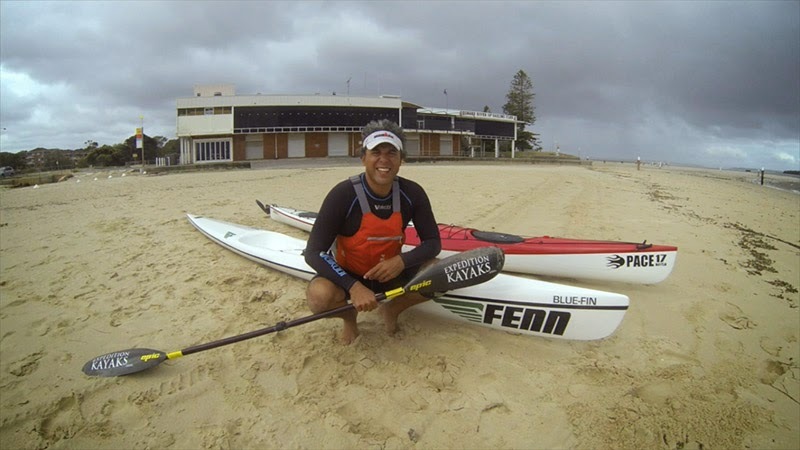 Mark has been paddling sea kayaks since 2001, primarily paddling the open coast of NSW . 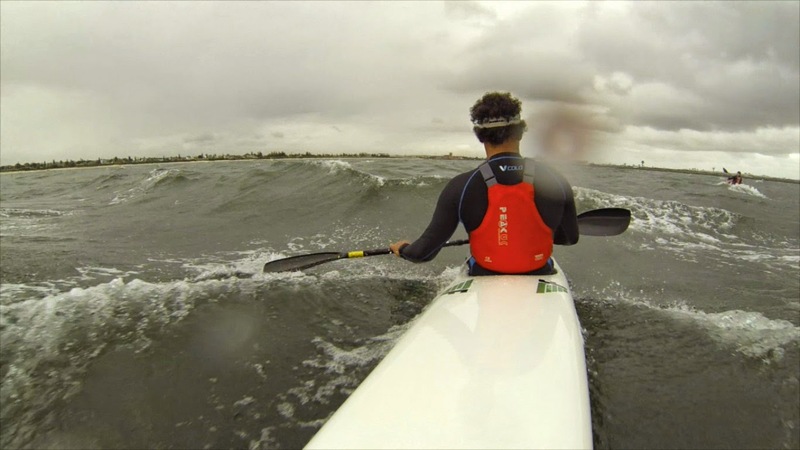 He is a qualified Australian Canoeing Sea Instructor, and paddles everything from sea kayaks to surf kayaks to elite racing skis. He’s a former 1st grade cricket & rugby player, with a couple of stints as a professional cricketer in the Lancashire Leagues of England, where he reckons he learned the art of the wind-up, as well as the benefits of cold-weather layering! Mark is a lover of the outdoors, having trekked & paddled through various part of the world, including the Himalaya, Patagonia, the NZ Alps, as well as the wilds of Tasmania. In 2011, together with Chris James & Rob Mercer, he took part in the first successful expedtion to reach the remote North Reef Lighthouse, some 130km off the Queensland Coast. 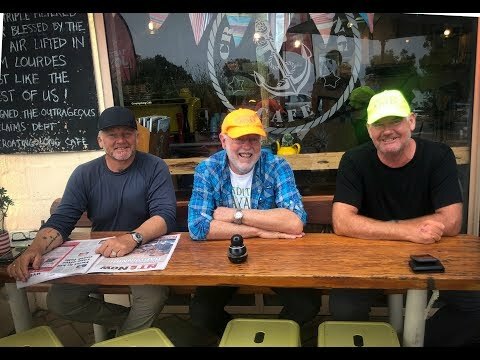 In 2018 he was part of Gary Forrest's Bass Strait crossing, a fine trip done in good style with a lot of laughs! Along with Rob Mercer mark founded Expedition Kayaks, Australia's premier retailer of pointy end sea kayaking gear, coaching and advice. You should be aware that half of what he writes on the web is a p*ss take…..